Daniel Martin flew away in the first summit finish of the Critérium du Dauphiné today at Lans-En-Vercors, but had to settle for second behind Julian Alaphilippe (Quick-Step Floors). Coming to the end of the 181-kilometre stage, Martin attacked but Alaphilippe resisted in a select four-man move. 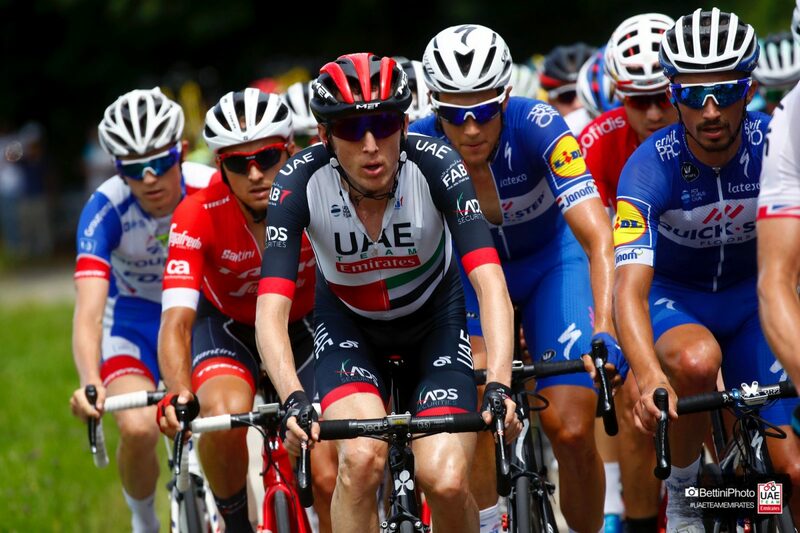 UAE Team Emirates’s Irish star held off Geraint Thomas (Sky) for second place. “I just don’t have that sprint yet, but it’s coming. I’m happy, it was a good day and the team did a good job,” Martin said. “It’s great in the new team environment. I had good legs in training all year, but it hasn’t come together in races for some reason. It’s good to get that, that’s a relief and it’s a good sign for the next days. Martin moved to 20th in the overall classification at 2-40 minutes from new race leader Gianni Moscon (Sky). The fifth stage tomorrow, the second of four consecutive summit finishes, ends at Valmorel after 130 kilometres. Martin and his rivals will face two climbs of category two in the first 20 kilometres and then the summit finish of 12.7 kilometres at an average of seven per cent. 2.Martin Daniel (Irl) UAE Team Emirates s.t. 3.Thomas Geraint (UK) Team Sky s.t.